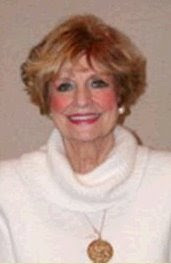 Jaroldeen “Jerry” Asplund Edwards was a wife, mother, grandmother, author, and speaker. She was born on February 23, 1932, in Alberta, Canada. She received her bachelor’s degree in English literature from Brigham Young University. In 2002, she was awarded the Distinguished Emeritus Alumni Award from BYU. She married Weston Eyring Edwards in 1954 and they had twelve children. They served a mission to Johannesburg, South Africa for The Church of Jesus Christ of Latter-day Saints, of which they were members. After her youngest child entered kindergarten, she began writing. She published twelve books. Her last book, The Daffodil Principle (2004), appeared as a story in her book Celebration! Ten Principles of More Joyous Living, which she published ten years earlier. She also wrote Ten Things I Wish I’d Known Sooner, Hannah, Mormon Midwife, Harvest Dreams, Wildflower, The Falcon Heart, The Chaldean Star: A Novel, and The Mountains of Eden. She was a popular speaker at the Women’s Conference held by the Church of Jesus Christ. She also spoke at the National Mother of the Year awards ceremony. Edwards passed away on May 30, 2008. This page was last edited on 16 September 2014, at 14:50.